Great quality purple amethyst! So beautiful! 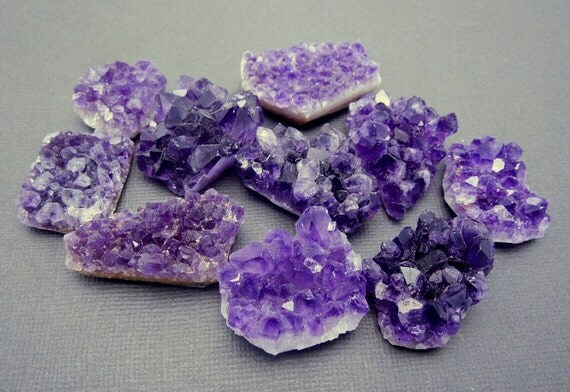 These amethyst are larger than the other ones we have. Stock photo, we will select one stone to send, if you have a preference to sizing let us know and we will try our best to fill according to stock available. Beautiful natural stones, great for jewelry making rings, pendants, bracelets. Collect or Display! Use for chakra, spells, etc! Bulk wholesale available on this or any other product in my shop. Convo us for information. We can also help you make finished jewelry with any of our products.